Gluten Free Items are indicated on our menu. * Indicates that items have been fried in canola oil which may have come in contact with other flour products. 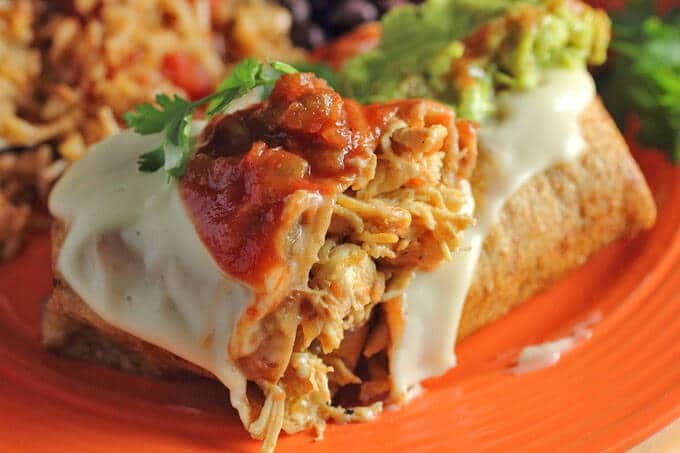 A large flour tortilla stuffed with your favorite filling, rolled and smothered with red, green or white enchilada sauce and topped with cheese. Served with refried beans and Spanish rice. Fresh lettuce in a crisp flour tortilla shell topped with chicken, cheese, guacamole, black olives, and diced tomatoes. Gluten-Free if ordered without the shell. Crisp flour shell stuffed with beans and beef, chicken or carnitas layered with cheese, lettuce, tomato and garnished with guacamole, black olives, and sour cream. Gluten-Free if ordered without the shell. Two beef or chicken tacos served with refried beans and Spanish rice. refried beans and Spanish rice. Gluten-Free. A flour tortilla stuffed with your choice of fillings, deep fried, smothered in green, red or white enchilada sauce garnished with sour cream, black olives, tomatoes, and guacamole. 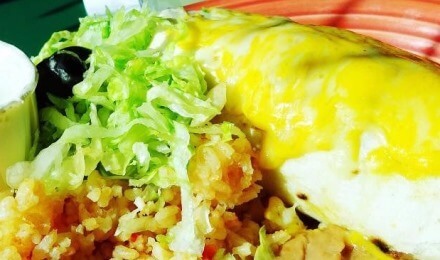 Cheese enchilada smothered in red, green, or white chile, served with a beef taco and your choice of Spanish rice and refried beans. A lunch size portion of our delicious nachos served with lettuce, tomato, black olives, guacamole, and sour cream. Gluten-Free. A combination of a cup of soup and either a lunch sized salad or half of a cheese quesadilla.